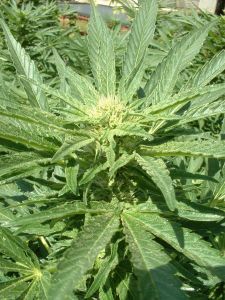 A teenager arrested for tending a marijuana plantation has told authorities it was his job to pay off the smugglers who helped him get out of Mexico, the Mercury News reported. It’s hard to argue that legalizing marijuana wouldn’t help prevent criminals from profiting. We have no doubt politicians will argue it. But it’s a tough argument to make. The same was true during prohibition when gangsters like Al Capone made their fortune providing bootleg liquor. Our Los Angeles marijuana defense attorneys and Ventura County immigrant rights lawyers work with clients facing all types of state and federal charge in connection with marijuana or immigration charges. The 16-year-old was one of two teenagers who were arrested as authorities cleared marijuana groves in the Los Padres National Forest. He said he was working to pay off the smugglers who helped him cross the border last month. A 17-year-old teenager declined to speak to investigators. Law enforcement has spent weeks chopping down hundreds of thousands of marijuana plants grown on public lands. If Proposition 19 passes in November, it would legalize marijuana for personal use and allow local governments to raise money by taxing its sale.